HCM CITY — Immediately after announcing information about summer classes early in May, the 218 Lý Tự Trọng extra education centre in HCM City was packed with hundreds of parents queuing till early in morning to sign their children up. The centre offers classes on subjects such as mathematics, physics, chemistry, literature and English for students of all grades in junior high and high school, except grade 10. Trần Văn Quang, a father from Thủ Đức District, went to the centre on May 9, the first day open of registration but was offered an appointment two days later due to overcrowding. He was relieved to be given a class registration ticket, which meant he had secured a spot for his child. “It is good because now my child can study at a prestigious centre after the school year ends,” Quang said. Like the 218 Lý Tự Trọng centre, many extra-education centres across the country offer summer courses for students, from curricular to extracurricular subjects. The school year in Việt Nam starts in late August or early September and ends in late May or early June. That means students have about three months of summer vacation, but many don’t actually get any time off. Many Vietnamese parents worry that a long vacation without studying will hamper their children’s education. Nguyễn Thị Hoa from HCM City’s District 10 has found a place at a prestigious centre in the city for her son, who is about to finish 8th grade in junior high school. “Our family is very worried as he enters the crucial 9th grade in the next school year. I want him to attend extra classes during the summer to review his knowledge and learn 9th grade knowledge in advance so that he is well prepared for the 10th grade entrance exam next year,” she said. Although holding extra classes is officially banned in many schools, they are easy to find and exist in various forms, such as at education centres or at teachers’ houses. Lê Thị Hương, a retired literature teacher in Đống Đa District, Hà Nội, has offered literature classes at her house for junior high school students for almost 10 years. She said many parents asked her to open her class as soon as possible whenever school’s break for summer. “I often reopen my class in early July after a one-month break in June,” she said. Even small children cannot escape summer learning. Lê Hoàng Thu Phương from Tân Bình District in HCM City is also looking for a summer class for her five-year-old daughter, who has yet to enter her first school year. She explained that she wanted her daughter to learn how to write before entering primary school, worried that without this skill, her daughter may fall behind her classmates. Besides fearing that children will be outstripped by their peers, many parents face another dilemma: there are not enough playgrounds and entertainment activities for children off for the summer, especially in big cities. Võ Xuân Tiến, a father in Long Biên District, Hà Nội, wants to find extra classes for his two sons, both elementary students. “Often when they want to go play, I have to drive them to shopping malls or parks because there is no playground near my house”, he said. “But I have to work on weekdays so finding extra classes is a good way for them to spend summer time safely and productively,” Tiến said, adding that he is also thinking of enrolling his sons on a life skills training course. Psychologists and social experts, however, warn that depriving children of a real summer vacation is doing more harm than good. Phạm Thị Thúy, a lecturer on Sociology of the National Academy of Public Administration, said too much studying can harm children’s psychological health. “We’ve seen many cases where children suffer from heavy pressure of exams, being forced to study throughout the summer as if it was the third term of the school year,” she said. According to Thúy, summer vacation is designed to let children have enough time to relax and enjoy themselves. “It’s time for children to improve their physical health, broaden their minds, and learn necessary life skills that are not taught at schools,” she said. 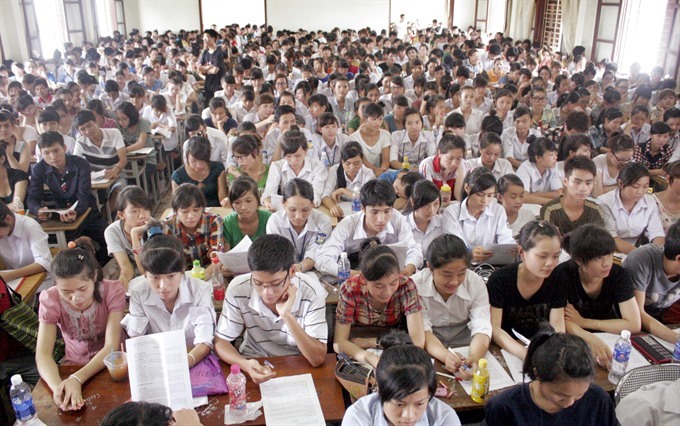 Agreeing with Thúy, Lê Minh Huân, a psychologist from HCM City University of Education said “A summer vacation free of homework and examination should be a ‘must’”.